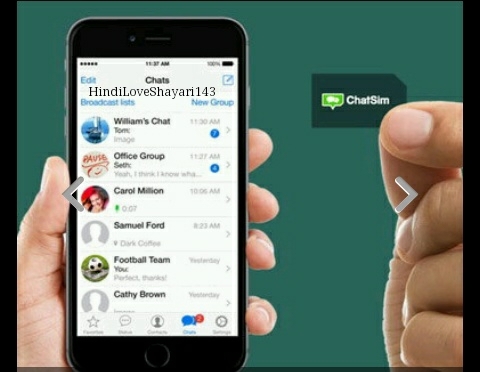 Social Media mobile messaging app Me WhatsAap Kafi popular HuAa Hai, Website Stasista Rapport mutabik WhatsApp Ke users worldwide February 2016 Me 1-billion monthly active users the. 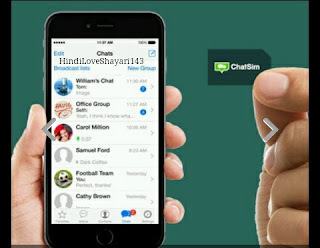 Indian User Ke liye chat sim ki price 950Rs. Validity 1-Years. 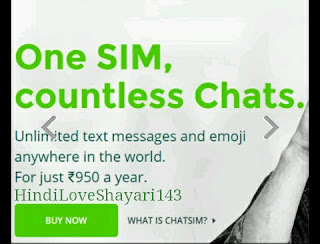 Maltimedia Richarg ke Liye -950Rs. 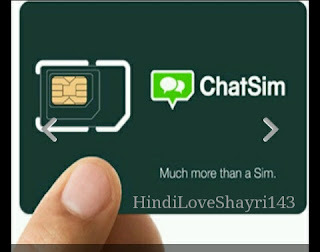 Chat Sim Se Aap WhatsAap, Messenger, Vchat, Hike, Etc..Aap ko beena internet connection me use kar sakte ho, ye Chat Sim is type ka fist sim Card hai. Ise kharide ya na kharide ye aapke internet using par depend karata hai, or iske baare me maine aapko aage bhi bata diya he, Agar aap jyada samay Traveling me bitate hai, to aapko Sim Chat lena chahiye.